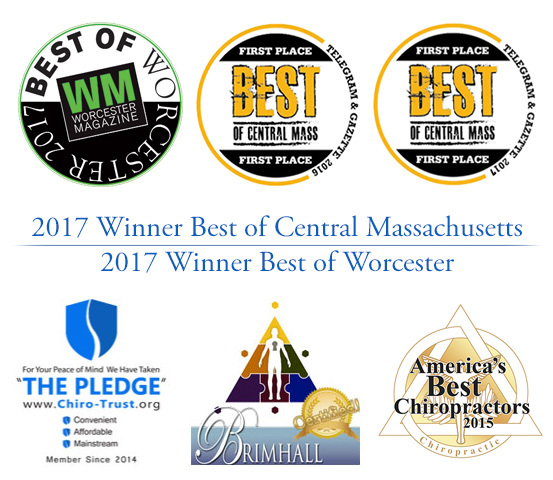 Millions of people visit chiropractors every single year, and a large percentage of these patients do so in order to relieve neck pain and back pain. These types of pain can be the result of a wide variety of medical issues and will usually harm the quality of one’s life. Anyone that is experiencing neck pain or has a loved one that is struggling with discomfort should understand some of the most common causes of these medical issues and how a holistic chiropractic approach may be the best option for treatment. There are a quite a few reasons that a person may begin to develop pain around their neck, head, and shoulders. This problem is not only common, but it can also make common daily practices such as exercising, work, school, or even standing for long periods excruciating. Some issues that often cause neck pain include degenerative disorders, bone abnormalities, trauma to the neck, bad posture, tumors, and muscle strain. Serious issues such as tumors and degenerative diseases will always need traditional medical care, but those with a misaligned spine, strained muscles, and general inflammation may respond well to holistic treatment options such as chiropractic care. The primary objective of our chiropractor is to ensure that your spine and the rest of your musculoskeletal system are aligned and as healthy as possible. We can do this with a variety of techniques and tools that are designed to help manipulate the spine and provide relief. For some conditions, this can be done in addition to or as an alternative to traditional treatments. Other medical professionals will often suggest medication that only addresses the side effects of neck pain or a surgery that may require months of rehabilitation. Our techniques can be useful in treating both acute back pain that that lasts for less than six weeks and chronic back pain that lasts for months or even years. Neck pain is also referred to as cervical pain because the neck is technically called the cervical spine. This area of the body is especially susceptible to injuries mostly because of the biomechanics of the human body. Everything from the way we sit and how we eat to old age and general wear and tear will affect neck pain. It is important to remember that no patient should ever leave a neck or head injury up to chance as untreated damage can cause further problems. Our chiropractor may suggest treatments and services such as neck adjustments, instrument assisted manipulation, and flexion distraction that will realign the spine and allow the body to heal naturally. If you would like to avoid invasive surgeries or chemical painkillers that will put your organs under a tremendous amount of strain, then chiropractic care may be right for you. Our holistic services are designed to help your body naturally rebalance and heal itself after making the proper adjustments to your neck, shoulders, and back. Contact Nault Chiropractic today to schedule your consultation and let Dr. Stephen Nault help you feel your best.